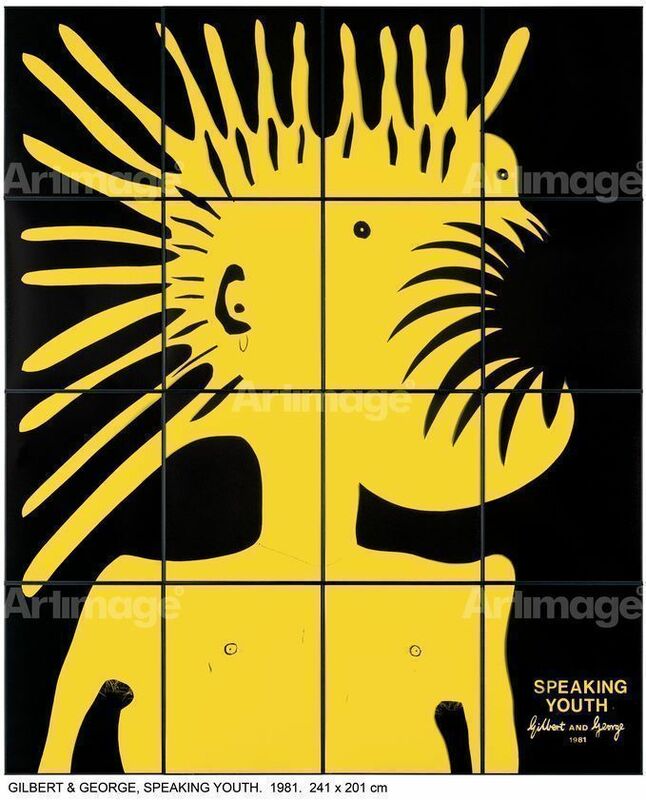 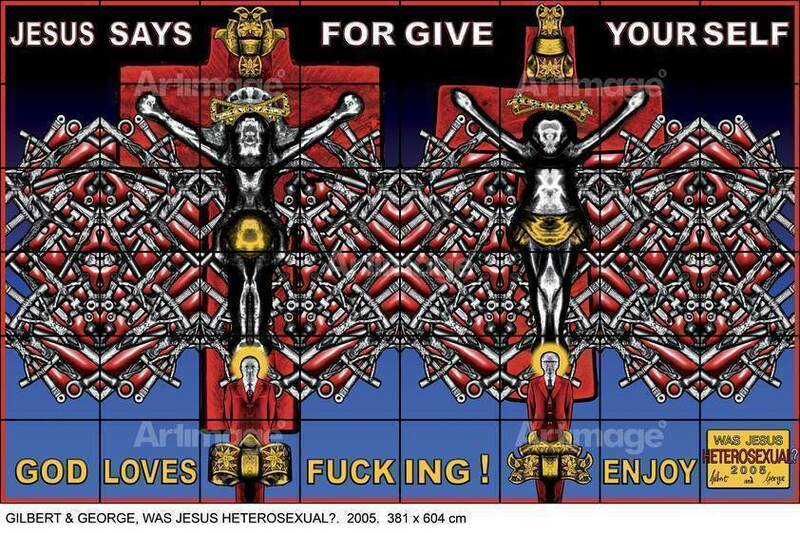 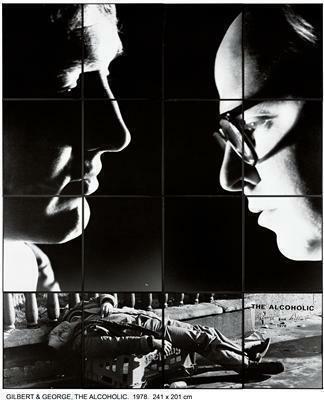 ‘Art for all’ is the belief that underpins Gilbert & George’s art. Their trademark format is the large grid, a square or rectangular picture broken into sections that becomes a unified field of signs and images. 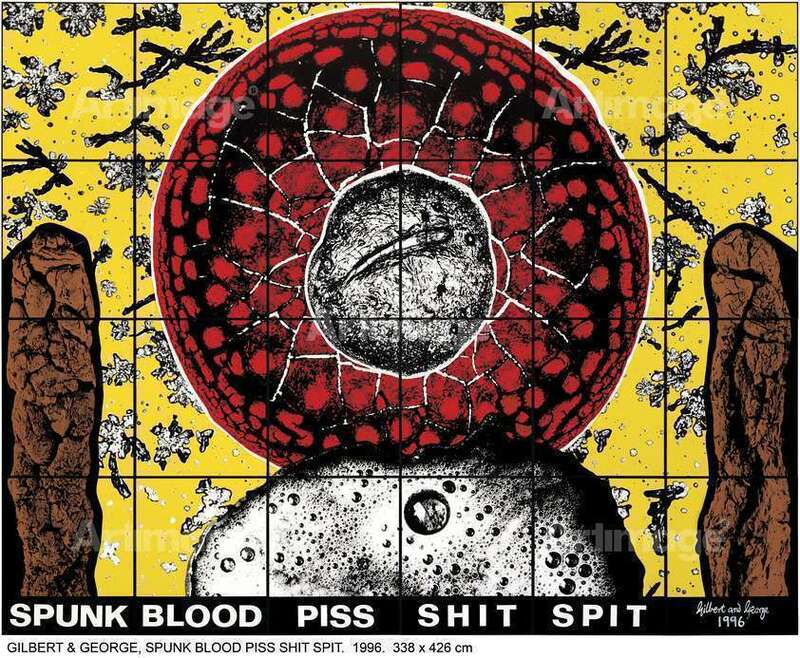 Gilbert & George began working together in 1967 when they met at St Martins School of Art, and from the beginning, in their films and ‘living sculpture’ they appeared as figures in their own work. 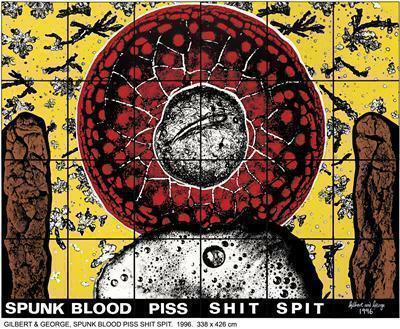 The artists believe that everything is potential subject matter for their work, and they have always addressed social issues, taboos and artistic conventions.